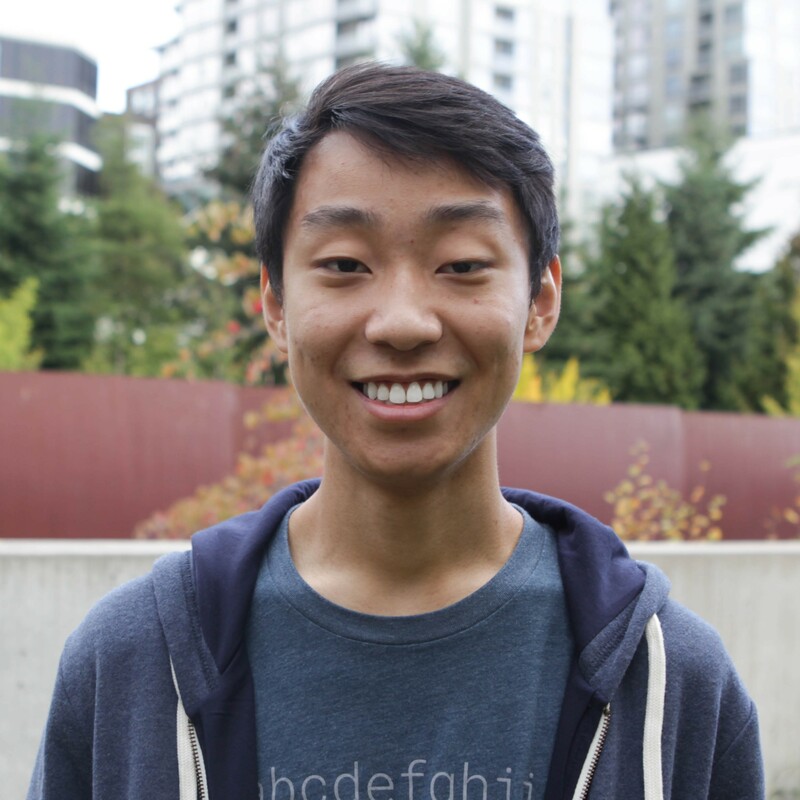 Kaito is a junior at the University of Washington majoring in Aeronautical & Astronautical Engineering. He has worked for the past year in the Advanced Propulsion Laboratory, under Professor Robert Winglee. The lab studies novel forms of electric propulsion for future use in space. Kaito’s research has focused on developing a plug-and-play microsatellite propulsion module for use on 6U and 12U CubeSat missions. In particular, he has spearheaded the overall design for such a propulsion model and has begun system testing. Kaito’s latest project advances these designs. 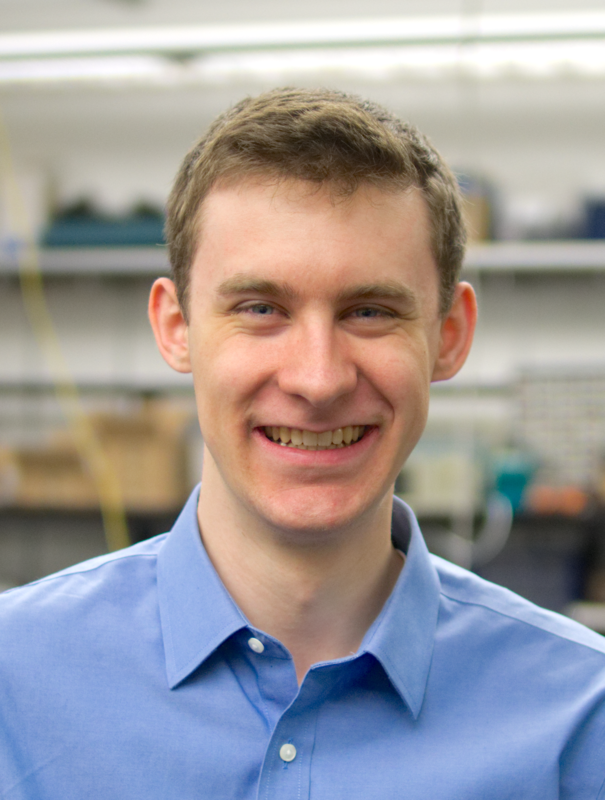 He and a team of undergraduate researchers will design, fabricate, and test a configuration for the microsatellite propulsion module that uses a gaseous fuel laden with lunar, asteroidal, or Martian dust in collaboration with Eagle Harbor Technologies, Inc. Through this configuration, thrust output may be maximized while retaining relatively high fuel efficiency. Following the completion of Kaito’s bachelor’s degree, he plans to attend graduate school to earn a doctoral degree, and then pursue a career in electric propulsion research. Kaito is grateful for the wonderful guidance and encouragement he receives in the Advanced Propulsion Laboratory, and to the Washington Research Foundation for supporting his research. As humans look increasingly towards space for research and education, satellites have become increasingly small and cost-effective. To achieve further affordability, such microsatellites are often electric propulsion-based. However, the low thrust output of current microsatellite electric propulsion (EP) systems limits these satellites’ scope, restricting mission design and satellite capabilities. One method of addressing this involves modifying the Dielectric Barrier Discharge (DBD) Thruster, a novel EP system that uses a low power input to ionize a gaseous propellant and accelerate the ions to produce thrust. This project aims to improve the thrust and fuel efficiency of the DBD through design modifications, such as varying the inner diameter of the DBD body, clustering of several DBD into a thruster array, and implementing of a nanoparticle injection subsystem. The effect of these modifications on thrust and fuel efficiency will be measured using both direct and indirect methods for data corroboration. If thrust and fuel efficiency are improved, the new DBD will allow for further access to space, as microsatellites would be able to perform higher thrust-dependent missions, including asteroid and Moon landings and returns, while remaining fuel efficient during long-distance travel. Arielle Howell is a senior in the Department of Bioengineering. She joined the Yager lab her freshman year where she began researching porous membrane systems for diagnostic devices. This research experience sparked a passion for developing diagnostic devices aimed at low-resource environments. This research experience also bridges her interests of expanding access to healthcare and developing new technologies. 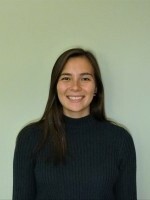 Her project will be focused on the integration of her previous work with porous membrane system design and targeted protein capture and amplification. Over the past summer she had the opportunity to travel to the Institut de Microeletronica in Barcelona, Spain for a research collaboration. While there she worked with biodegradable, paper batteries to be incorporated as a power source for device automation and will continue this collaboration into her final year at the UW. Arielle plans to take a gap year before applying to graduate school. 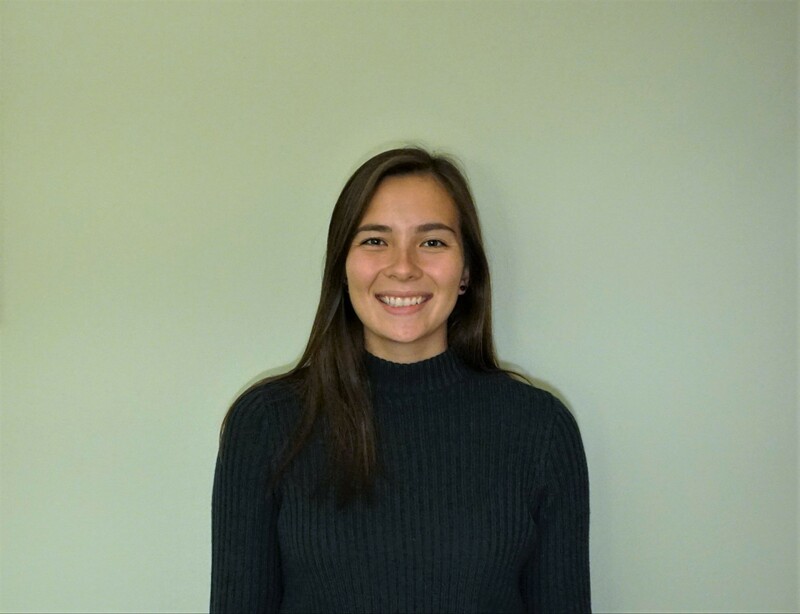 In her free time, Arielle enjoys playing water polo on the University of Washington’s women’s club team, volunteering at Swedish Medical Center, and contributing to the University of Washington Rotaract’s various philanthropic projects. She would like to thank her mentors, Dr. Paul Yager, Dr. Joshua Buser, and Dr. Juan Pablo Esquivel for their continued support and advice in her research career. Arielle is also grateful for the generosity of the Washington Research Foundation and is honored to have been selected for this fellowship. Gonorrhea and chlamydia are two of the most common sexually transmitted infections with an estimated, combined number of 209 million infected globally. Many of these cases go undiagnosed or misdiagnosed. Both diseases are highly prevalent in low-income countries that often lack the resources required for a state-of-the-art laboratory. Subsequently, this commonly leads to incorrect diagnostic information and to over prescription of antibiotics, causing increased antibiotic resistance. An accurate diagnostic tool is needed so those infected are treated appropriately. The primary problem is the lack of a diagnostic device that has high sensitivity to pathogens in urine but can function without external power sources or high cost machinery. A stand-alone diagnostic device is needed. To address this an integrated, porous-membrane based fluidic device is proposed. This device incorporates specific protein capture on an antibody capture line and nucleic acid amplification in a region of stopped flow. Thus, including a sample preparation step, along with increasing magnitude of the signal. In addition, the incorporation of a biodegradable, paper battery to supply power for heating the amplification reaction and increasing sensitivity through fluorescence detection of the amplified region. A device such as this has potential to increase access to accurate diagnostic testing in the global health market, leading to less drug resistant mutations and lowered infection rates. 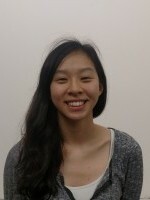 Joyce Huang is a senior studying Bioengineering. She joined Dr. Rajiv Saigal’s lab in autumn 2017, with strong interest in chemical and materials engineering, as well as neurosurgery. With the support of the Washington Research Foundation, and under the guidance of Dr. Saigal, Joyce is developing an electronically controlled drug release system for spinal cord injuries. Through this research, she is hoping to contribute to the improvement of spinal cord injury treatment. After graduation, she would like to continue pursuing a career in bioengineering research. Joyce would like to thank Dr. Saigal for his mentorship and guidance. She would also like to express appreciation for the generous support from the Washington Research Foundation. Over 15,000 people receive spinal cord injuries a year in the United States, with very low recovery rates, leaving hundreds of thousands disabled, and billions of dollars in medical care. The difficulty in treating spinal cord injuries result from complex mechanisms of spinal cord injuries, and the difficulty of drugs in reaching the spinal cord. While several drugs have shown neuroprotective properties, their systematic toxicity or inability to cross the blood brain barrier to the spinal cord have limited their use. To allow the use of neuroprotective drugs, and increase degree of recovery, it is necessary to develop a method of targeted drug delivery into the injured spinal cord. We propose the use of an electronically controlled drug release device that may be implanted during the initial surgery for the injury, allowing precise control of drug release throughout recovery. The device will be composed of microstructured polypyrrole loaded with drugs, to be released on electrical stimulation. The success of this project may improve degree of recovery from spinal cord injuries, and can be used in combination with current treatments to maximize degrees of recovery. 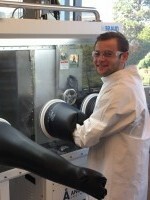 Jack is a senior majoring in Biochemistry and Molecular, Cellular, Developmental Biology. With a deep interest in protein-small molecule interaction and protein engineering, he joined the Gu lab in Institute for Protein Design to study the facilitation of small molecule in protein-protein interaction and the high throughput method to quantitatively characterize these interactions. Jack’s current project focuses on developing Chemical Induced Dimerization system, in which the antiviral drug Valacyclovir and lamivudine are used as the small molecule to facilitate the binding of two single-domain antibody binders. The resulted binder pairs controlled by these clinically safe drugs can be used in cell therapy such as CAR-T therapy. After graduation, Jack plans to attend graduate school to conduct further research in biomedical field. Jack wants to express his sincerest gratitude to Dr. Liangcai Gu and Dr. Shoukai Kang, who encouraged him conducting independent research at the first place and continued to be supportive in his research projects. He also wants to thank Washington Research Foundation for its generous support. Cell-based therapies, such as the use of chimeric antigen receptor T (CAR-T) cells against blood cancers, is becoming a new pillar of medicine. However, compared with traditional drugs, they are more susceptible to safety concerns due to difficulties associated with controlling cell actions in a therapeutic setting. Genetically encoded biosensors based on chemically induced dimerization (CID) systems, in which two proteins dimerize only in the presence of a small molecule, offer the spatiotemporal control of cell activities with drugs. However, only a very few naturally occurring CID systems and their derivatives are available and their dimerization inducers are not ideal for clinical use. Here, I propose to apply a recently established CID engineering method to create novel CID systems induced by valaciclovir and lamivudine, two clinically safe antiviral drugs with high solubility and cell membrane permeability. I will work in Dr. Liangcai Gu’s laboratory in the UW Biochemistry department and the Institute for Protein Design to couple the high-throughput screening and computationally protein design methods to obtain new CID biosensors. First, we will select ‘anchor binders’, one of the two CID binders that firstly bind to drugs, by performing phage display screening of combinatorial binder libraries such as a synthetic nanobody library. Next, we will obtain ‘dimerization binders’ which can specifically recognize anchor binder–drug complexes (vs. free anchor binders) to form CID complexes using computational protein design and/or phage display selection. Lastly, we will improve the CID binding affinity and specificity by using a single-molecular-interaction sequencing technology developed by the Gu lab. We expect that the method will be broadly applied to design CID systems for a broad array of small molecule targets. Designed CID systems will expand the chemogenetic toolkit for cell-based therapies such as CAR-T therapy. 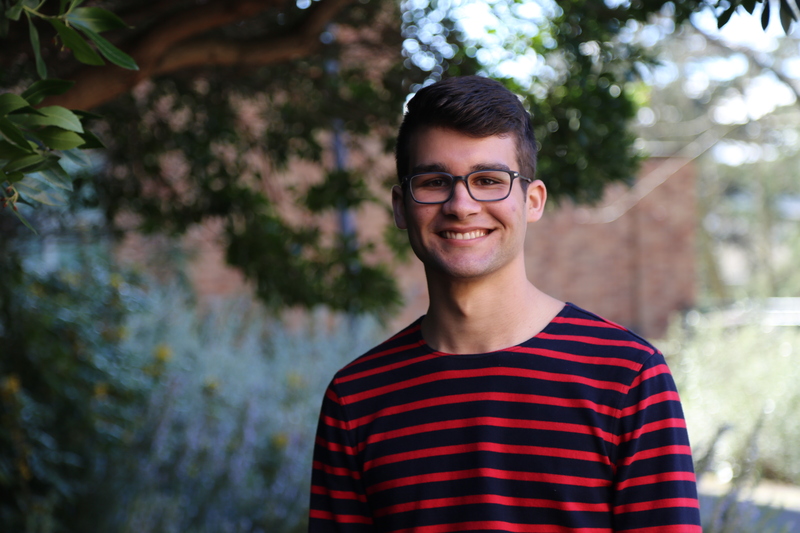 Dane is a junior studying chemistry and biochemistry. In the summer of 2017, he joined the Cossairt Lab to help investigate the syntheses of indium phosphide quantum dots (InP QDs). InP is a promising alternative to toxic state of the art materials for light harvesting and emitting applications. His previous project focused on factors affecting the kinetics of InP syntheses. Currently, he is exploring factors in quantum rod formation, a morphology of InP with greater advantages in bioimaging and photovoltaics. Outside the lab, Dane enjoys music and working as a CLUE Chemistry tutor. 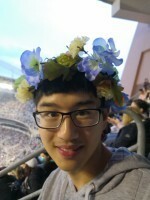 After graduation, he plans to attend graduate school and pursue a Ph.D. in chemistry. Dane would like to thank the Cossairt group for the support and research opportunity. He is thrilled to be a Washington Research Foundation Fellow and is grateful for the foundation’s support. Quantum confined nanomaterials have become an important field of study with many applications from color displays to low-energy alternative lighting sources. Discovered in the early 1980s, these semiconducting nanocrystals continue to draw attention; their unique properties differ from their bulk counterpart’s due to a quantum confinement effect rising from their small nanometer-scale size. Indium phosphide (InP), a group III-V semiconductor, is a promising nontoxic, environmentally innocuous material. The morphology of the synthesized InP nanocrystal is commonly a quantum dot quantum confined in all three dimensions. However, the utility of the dot in biological imaging and display applications is hindered due to reabsorption resulting from overlap in its absorption and emission properties. This dims the light of an indicator and limits efficiency in catalysis. The subject of this investigation—the synthesis of InP quantum rods— offers a solution to this problem, as it is quantum confined in two dimensions and exhibits bulk semiconductor characteristics in the third, separating the absorptive and emissive features and improving the photoluminescent quantum yield. The investigation will follow a hot-injection method while also exploring nanocrystal microwave syntheses. Currently, a magic sized cluster hot-injection synthesis in N-methyl pyrrolidone at 150 °C is known to afford InP rods (Dr. Friedfeld, UW Cossairt lab). Multiple experiment sets will manipulate the reaction length and temperature of the synthesis, cluster identity and concentration, and the identity of the aprotic polar solvent in which the reaction takes place. All material will be characterized via UV-vis spectroscopy and imaged on a transmission electron microscope. The aim of the investigation is to learn why these rods form and what reaction conditions favor their formation. In understanding how to efficiently control the distribution of InP rods v. dots using chemical tools, the usefulness of nanocrystals in nanobiotechnology and clean energy science can be improved. Heather is a senior majoring in biochemistry. 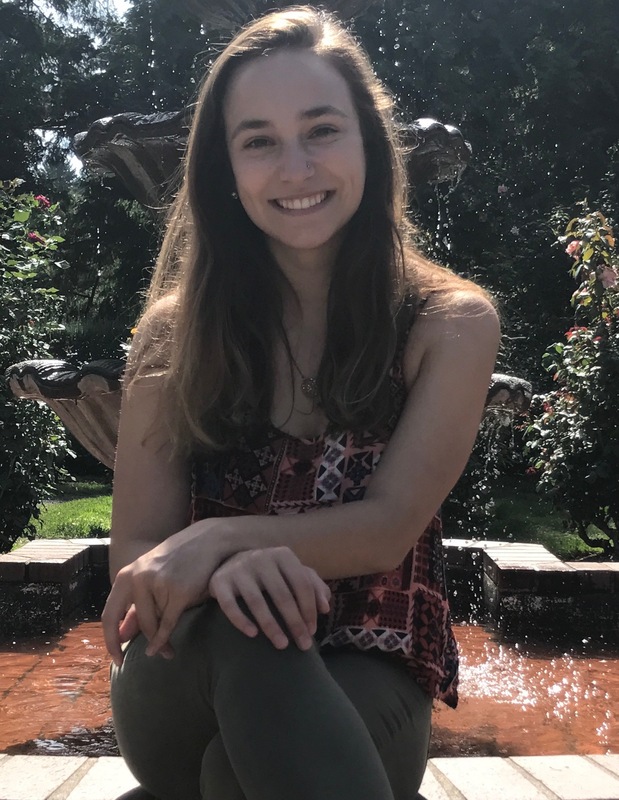 She joined the Murry lab in the fall of her sophomore year and has been working on improving the maturation process of stem cell derived-cardiomyocytes in vitro. The goal of her project is to understand cardiomyocyte maturation during development. After graduating this spring, she hopes to pursue a pharmD and eventually work in the research and development sector of the pharmaceutical industry. Heather would like to thank her mentor Dr. Elaheh Karassi for her guidance and Dr. Charles Murry for his continuing support. She is honored to be a Washington Research Foundation Fellow and would like to thank Mr. Howell and colleagues for investing in her future in medicine. Researchers have developed methods to routinely produce cardiomyocytes from human induced pluripotent stem cells (hiPSCs) and human embryonic stem cells (hESCs) for research and medical applications. However, the structure and function of these cells are similar to fetal cardiac tissue with respect to cell size, contractility, calcium handling, metabolism, and electrophysiology, thus limiting their successful application. This research aims to address this problem by increasing the maturity of human pluripotent stem cell derived cardiomyocytes (hPSC-CMs) through metabolic pathway regulation. There is extensive literature providing evidence that cardiomyocyte maturation is affected by environmental conditions. There have been studies linking glucose to blocking further cardiac differentiation, a potential reason for increased risk of heart defects in fetuses of diabetic mothers, and linking thyroid hormone (T3) to increased cardiac maturation by potentially aiding the switch to a new energy source through its modification of metabolism. Lastly, the corticosteroid dexamethasone (Dex) in conjunction with T3 has been shown to promote T-tubule formation, while individually they both appeared to have no affect. We will therefore test the combinatorial and concentration dependent effects of specific nutrients to induce maturation of hPSC-CMs and explore how metabolism of these nutrients effect epigenetic changes that we hypothesize are correlated with structural and functional characteristics that develop as cardiomyocytes mature. To our knowledge, this is the first study examining epigenetic regulation of hPSC maturation. Understanding cardiac development is essential to understanding pathology of congenital heart defects (CHD), as well as adult pathologies such as heart disease, the leading cause of death worldwide, and the developing a method to mature stem-cell derived cardiomyocytes from this research could potentially revolutionize regenerative medicine, disease modeling, and drug testing. 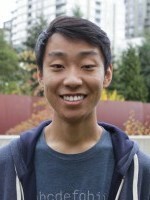 Nelson Liu is a senior majoring in computer science and linguistics. His research interests lie in natural language processing and machine learning, and he’s been fortunate to work with Professor Noah Smith. After completing his undergraduate degree, Nelson plans to pursue a Ph.D. in natural language processing and finally a career in research. Outside of research, he enjoys contributing to open source software, bouldering, and hiking around the Pacific Northwest. What Do Deep Contextualized Representations Learn About Language? Deep learning has pushed the boundaries of natural language processing, and neural network architectures have achieved state-of-the-art results in tasks such as automatic machine translation, question answering, and language modeling, among others. The backbone of many of these models is the recurrent neural network (RNN), which serves as a general-purpose module for encoding sequences of text as to sequences of real-valued vectors. Recent months have seen the rise of transfer learning in natural language processing: RNNs are trained in an unsupervised fashion on massive text corpora, and then applied to downstream tasks. This method is simple to integrate with existing models and extraordinarily effective, significantly improving the state-of-the-art across a broad range of challenging natural language processing problems. However, RNNs are often treated as black box text encoders, and little is understood about the information stored in their internal learned representations. Previous work has indicated that RNNs trained on a variety of tasks are able to capture soft notions of morphology and hierarchical syntax, but there is far more to language. In this work, our goal is to determine what RNNs pre-trained on a variety of tasks capture about language, and more importantly, what aspects of language elude them. We propose to open the black box through a principled set of experiments for empirically evaluating the linguistic knowledge of RNNs. In addition, we will further analyze the transferability of RNN representations: how does tuning a pre-trained RNN on a certain task affect performance on another? By gaining a deeper understanding of the empirical abilities and shortcomings of RNNs, we will enable the community to work toward overcoming these limitations and facilitate the design of more effective RNN variants. 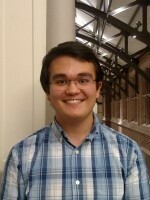 Hugo Pontes is a junior studying Chemical Engineering. Hugo is interested in applying engineering principles to solve today’s problems in medicine. 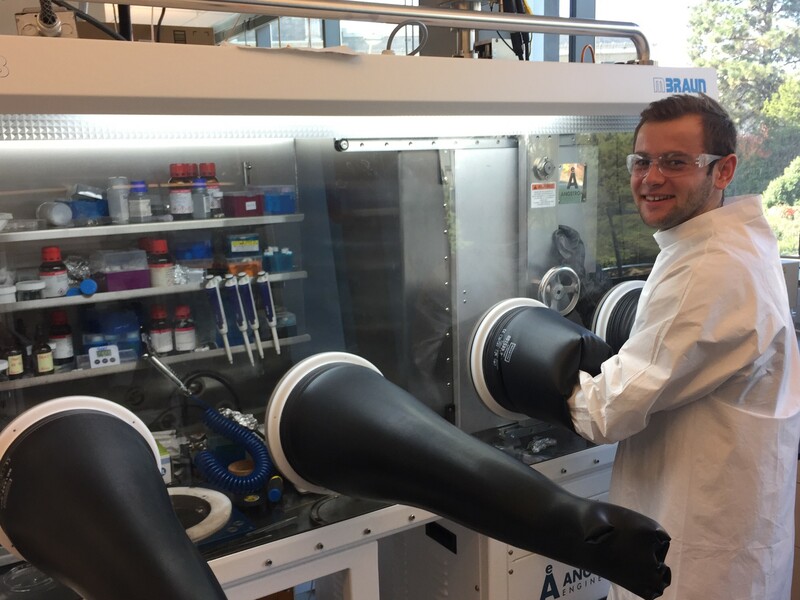 Aligning his interests of developing better therapeutics with research for neurological diseases in the Chemical Engineering department, Hugo decided to join the lab of Dr. Elizabeth Nance during his second year at UW. His project aims to understand nanoparticle diffusion in the extracellular matrix of the diseased brain microenvironment to be able to create therapeutics that are clinically relevant. Previous work that Hugo did involves a project with Dr. Lilo Pozzo to understand the impact of Hurricane Maria in people who depend on power for their medical needs in Puerto Rico. His passion for helping patients has led him to work in these projects both from a public health point of view, as well as a clinical perspective. 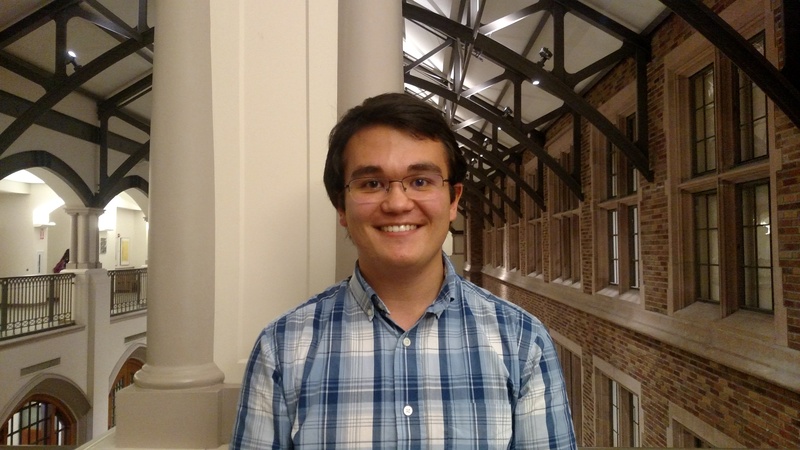 As such, Hugo plans to pursue an MD/PhD after college to continue working in research projects that advance healthcare and be able to work as a clinician. Hugo would like to thank everyone in the Nance Lab for the unconditional support, and he would also like to thank the Washington Research Foundation for giving him the opportunity to keep working in the research he has always dreamt of doing. As the global burden of neurological disease continues to grow each year, there exists a need for more effective therapeutic delivery strategies. One key barrier to delivery to the brain is the ability to penetrate within the brain to reach disease sites, which requires navigating the heterogeneous extracellular spaces (ECS) of the brain microenvironment. The development of novel platforms that can effectively overcome this barrier is held back by an ongoing lack of understanding of the precise interplay between brain structure and nanoparticle behavior. Additionally, there’s a shortage of technologies that are sensitive enough to identify minor changes in tissue structure. By applying a combined approach of multiple particle tracking (MPT) and statistical analysis using Python-based software packages, we will develop a tool that can monitor changes in brain tissue structure as they occur in real-time, while also evaluating the corresponding effects these changes have on nanoparticle diffusion. Initially, we are interested in using our technique to identify changes in extracellular matrix (ECM) structure within the brain. We will focus on perineuronal nets (PNNs), a specific type of ordered ECM structure that wraps around neurons in the brain. Using organotypic rat brain slices as our model, we will enzymatically degrade PNNs and analyze the resulting changes in nanoparticle diffusion and protein-nanoparticle interactions. We expect significant differences in nanoparticle diffusive ability to exist when PNNs are intact, partially or fully degraded, which will correlate with changes in protein expression and immunohistochemistry images. These studies will serve to develop a new technology that is sensitive enough to detect minor changes in ECM structure. Our findings will provide new insights into the influence of pathology-dependent structural changes on therapeutic penetration within the brain and will allow for the development of more effective nanoparticle-based therapeutics. 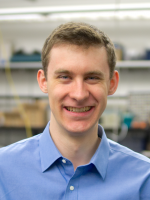 Anton Resing is a senior majoring in Materials Science and Engineering. 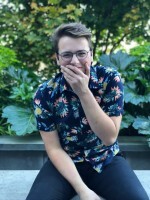 To find his academic niche at the University of Washington he chose to get involved in research during the summer after his sophomore year. Since this time he has worked under the guidance of Professor Christine Luscombe and in collaboration with graduate student Wesley Tatum. Over the last two years he has become passionate about developing novel clean energy solutions. The Luscombe lab structured with a fluid, working relationship between materials scientists and chemists has been centric in this developed interest. Working side by side with the Clean Energy Institute at the University of Washington the Luscombe group drives advances of organic semiconducting polymers and their uses in photovoltaics and flexible electronics. Anton’s first project focused on characterizing nanowires to better understand defects within their crystalline domains. Recently he has moved to fabricating organic photovoltaic devices with the goal of generalizing relationships between morphology, optoelectronic properties and device processing conditions. 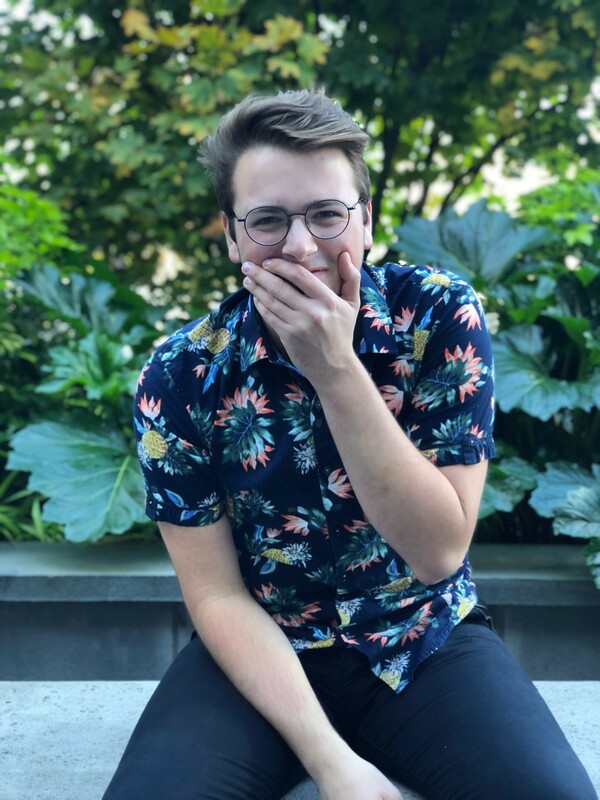 When his arms aren’t deep in a glove box, Anton can be found on the soccer field as the President of the University of Washington Men’s Club Soccer team or developing his skills as a trumpet player in the Concert Band. It is clear that he has caught the travel bug, and after graduating this spring he will head for Europe, South America, and Southeast Asia. After returning he will work in industry, eventually returning to the academic world for a graduate degree. Anton would like to express his immense gratitude to the Washington Research Foundation for supporting his research and thank the Luscombe group for their staunch support of undergraduate research. Solar energy has unmatched potential as the energy source of the future and semiconducting polymers offer a unique set of properties that can address many of the current barriers that restrict solar technology. Semiconducting polymers are exciting because they have untapped potential for improvements in efficiency, they offer a cheap, energy efficient alternative to silicon due to their ability to be easily mass produced via roll-to-roll printing. Solution processing via roll-to-roll printing is transformative as it allows for low energy, high throughput manufacturing of flexible devices. Previous work by Tatum and Resing investigated bulk film microstructure through the formation of nanowires. This project expands upon this by utilizing a new Python classification program, and includes a focus on generalizing relationships between morphology, optoelectronic properties and processing conditions of organic photovoltaics (OPVs). Thin films of semiconducting materials will eventually enable stretchable and flexible electronic devices, but thin films are currently stochastic and inconsistent in their properties and morphologies because processing and chemical conditions influence the mixing and domain size of the different components. By using atomic force microscopy (AFM), a relatively cheap and quick technique, it is possible to spatially resolve and quantify these different domains based on differences in their mechanical properties. These properties are strongly correlated to electronic performance factors such as fill factor, short circuit current and open circuit current, which describe the performance of solar cells. For this project, organic photovoltaic devices (OPV’s) with an active layer initially composed of Poly(3-hexylthiophene): Phenyl-C61-butyric acid methyl ester will be fabricated with systematically varied processing conditions. Eventually a library of data will be comprised of AFM images and the corresponding devices’ OPV performance data. This data set will be used to compare cutting edge simulation techniques and results to experimental data, so that a more accurate computerized simulation model for OPV’s can be developed. Kimberly Ruth is a senior double majoring in Computer Engineering and Mathematics; she is also in the Interdisciplinary Honors Program and is pursuing Departmental Honors. 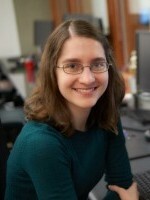 Her research interests lie within the broad area of computer security, aiming to make computer systems stronger by understanding their weaknesses. 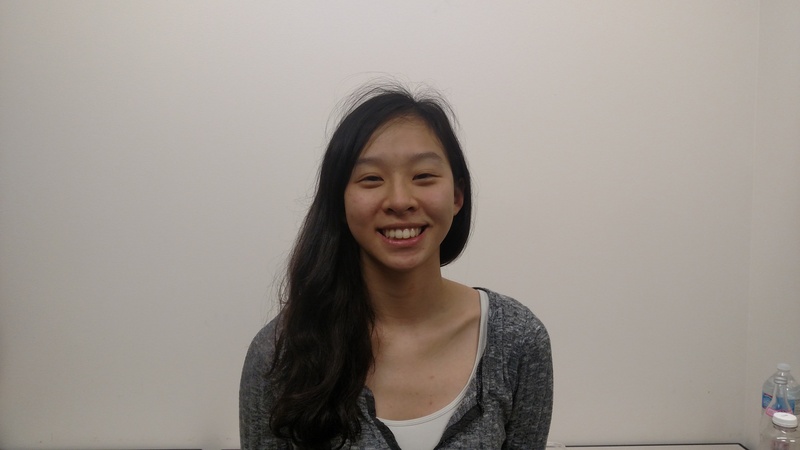 Since winter quarter of her freshman year, she has been an undergraduate researcher in the CSE Security and Privacy Lab, co-advised by Professors Franziska Roesner and Tadayoshi Kohno. Her current research focus is on the security and privacy implications of emerging augmented reality (AR) technologies. AR systems present novel challenges for security due to their tight integration with the physical world, and Kimberly enjoys developing system design principles by analyzing these new risks; her current work aims to explore and re-define access control for multi-user AR systems, considering the implications of one AR user’s virtual content affecting another. To supplement her research work and gain a broad perspective on security and privacy, she takes graduate-level security courses and seminars. Kimberly maintains a parallel interest in mathematics and has participated in the Putnam competition. 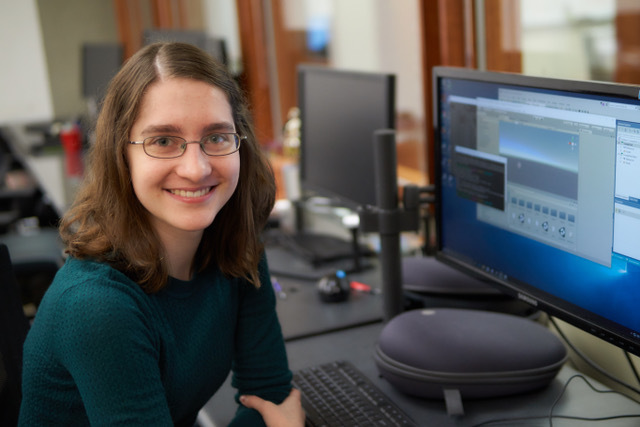 After graduation, Kimberly plans to pursue a PhD in computer science and subsequently a research-based career in computer security, leveraging mindsets of both theory and practice to inform the design of future secure systems. Kimberly is grateful to her fantastic advisors for their outstanding guidance, to her family for their continuous encouragement, and to the Washington Research Foundation for their support of her academic endeavors. Augmented reality (AR) technologies are rapidly emerging, from mobile applications to head-mounted displays to car windshields. Though there are many positive use cases projected for these technologies, the great power they have to affect a user’s perception of the world also comes with great risks. Prior work in security and privacy for AR has focused primarily on threats from applications. In my work, I examine emerging threats from other users in multi-user scenarios. These challenges are fundamentally different from those of existing technologies due to AR’s deep physical-world integration: content may be private or semi-public, for instance, in an inherently shared physical space, and virtual content access control might be determined in part by physical proximity. Thus far, I have developed a set of guidelines for mediating user-to-user interactions via app design, and I have built a research prototype of an app-level toolkit facilitating the use of these guidelines. Building off of this work, I first plan to deploy a robust developer toolkit adapted from my prototype, with the goal of helping application developers easily use my guidelines in practice. I then aim to further explore challenges with the technological definition and enforcement of personal space and location ownership in AR, setting a foundation for secure and private management of digital space. 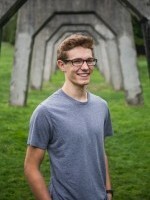 Parker Ruth is a junior obtaining a double degree in Computer Engineering and Bioengineering, and he is part of the Interdisciplinary Honors Program and is pursuing Departmental Honors. His research explores the design of computational tools to improve access to healthcare. As a member of the Ubiquitous Computing (UbiComp) research lab advised by Professor Shwetak Patel, Parker has contributed to the development and testing of mobile health applications for sleep apnea screening and continuous blood pressure monitoring. His current work aims to use commodity smartphone hardware to perform screening for osteoporosis by detecting changes in the resonant properties of osteoporotic bone. Before joining the UbiComp lab, Parker contributed to global health research by building image processing software for HIV drug resistance tests. 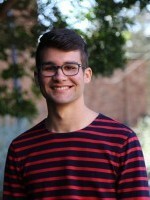 After obtaining his undergraduate degrees, Parker plans to obtain a PhD in computer science, with a long-term goal of pursuing a career as a researcher using computers to improve people’s lives. Parker is grateful for the outstanding mentorship he has received from his current and past advisors, and for the generosity of the Washington Research Foundation. Parker is especially thankful for his family’s continual encouragement and support. Osteoporosis causes an estimated 9 million annual fractures worldwide; however, the majority of cases go undiagnosed, in part because the current gold-standard for clinical screening – dual-energy x-ray absorptiometry (DEXA) – is expensive and requires specialized facilities with trained staff. In this work I aim to design, prototype, and validate OsteoApp, a novel technique for osteoporosis screening using only the hardware present in a typical smartphone. OsteoApp indirectly estimates bone density by exciting and measuring mechanical vibrations in a bone to infer its mechanical properties. By performing measurements on a population of individuals with known DEXA scan results, I will validate both a low-cost electronic sensor system and a smartphone application prototype. I will then evaluate the usability of this smartphone system by performing a study with members of the general population. 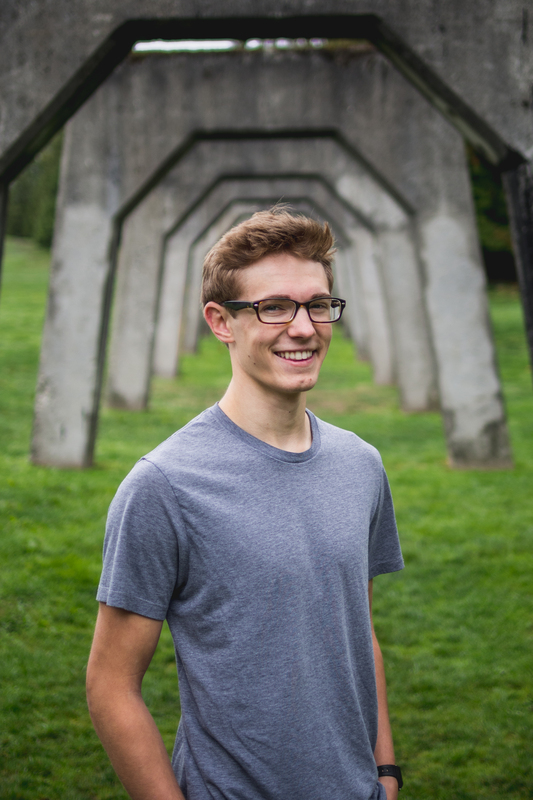 Joey Zemke is a senior at the University of Washington studying Molecular Cellular and Developmental Biology. He joined the Nemhauser Lab in the Department of Biology his sophomore year which began his research career. The Nemhauser Lab studies the phytohormone, auxin, in plants in order to better understand its role in plant growth and development in a given environment. He is conducting research on the model crop species, Brassica rapa, to identify the role that Phytochrome B (phyB) plays in resource allocation. Brassica rapa is a crop species very closely related to Brassica napus, a crop vital to canola oil production. PhyB is a photoreceptor conserved in plants that help orient the plant to the most favorable light in its given environment. Due to the sessile nature of plants, phytochromes are vital to plants being successful in responding to their given environment. Specifically, his latest project involves looking at the ovary containing organ of the flower called the gynoecium, in phyB deficient plants. With the generous help of the Washington Research Foundation, he will be characterizing gynoecium development in Brassica rapa in order to better identify the role that phyB plays in the production, maturation, and post fertilization of ova. Post-graduation he plans to work at a molecular biology lab as a laboratory technician and then apply to Ph.D. programs across the world. His dream is to become a Biology professor in order to teach and conduct research at a large research institution such as the University of Washington. One of his biggest dreams is to become a Principle Investigator and have a lab of his own. He would like to thank everyone at the Nemhauser Lab for their unwavering support, especially Dr. Jennifer Nemhauser and Dr. Andrej Arsovski. He would also like to thank the Washington Research Foundation for helping his dreams become one step closer to reality. Global climate change and population growth pose a significant risk to global food security. Conservative estimates suggest that animal products alone must increase by 60-70% by 2050 to keep up with population growth. Crop species are needed to feed people directly and to feed livestock. How crop species respond to predicted climate change compounds the complexity of this challenge. Phytochrome B (phyB) is a photoreceptor that affects the plant’s ability to respond to changing resource availability. Plants with a reduced phyB function make less seeds, whether measured in the model plant Arabidopsis thaliana or in the crop Brassica rapa. The reason for this seed yield phenotype is unknown. I will be characterizing reproductive structures in Brassica rapa from immediately after pollination through the production of viable seeds to identify what is going wrong in phyB mutants. I will also be performing RNA sequencing in order to identify differentially expressed genes between the wild type and phyB deficient plants. This will ultimately lead to the identification of potential targets for engineering higher yielding oil seed varieties.